This is one of my favorite holidays. that is making their way across the country. and to teach the kids about this great country that we live in. On the way home, we plan to hit up King's Dominion which is an awesome amusement park. I haven't been on a roller coaster in 6 years, so I'm pretty excited! It will take us about 6 hours to get up to Pennsylvania. That's a long car ride. however, I wanted to make sure we stuck with our recent healthy eating plan. 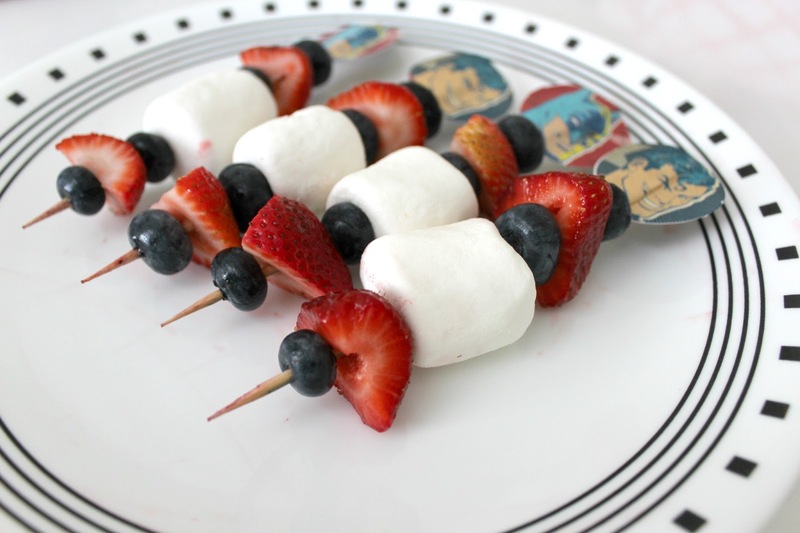 I decided to pack some healthy snack and lunch options for the kids. 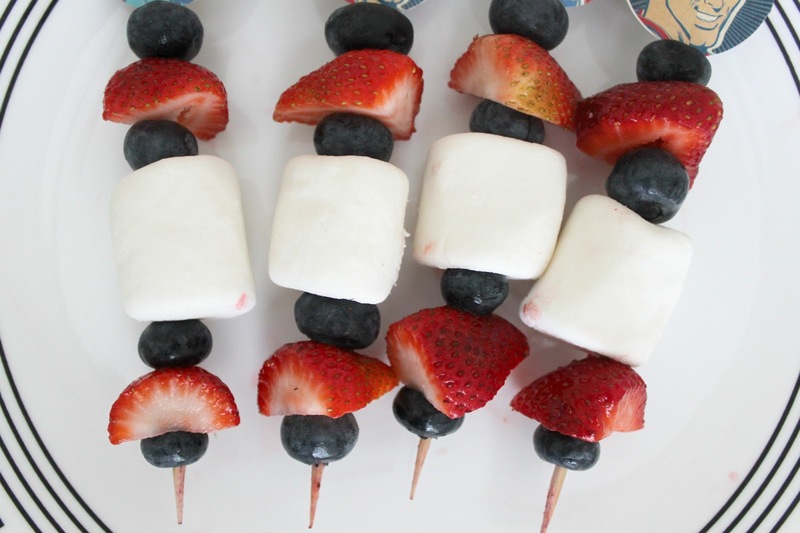 These little fruit skewers are cute, easy to put together, fun for the kids to eat, and they've got the whole red-white-and-blue thing going on. 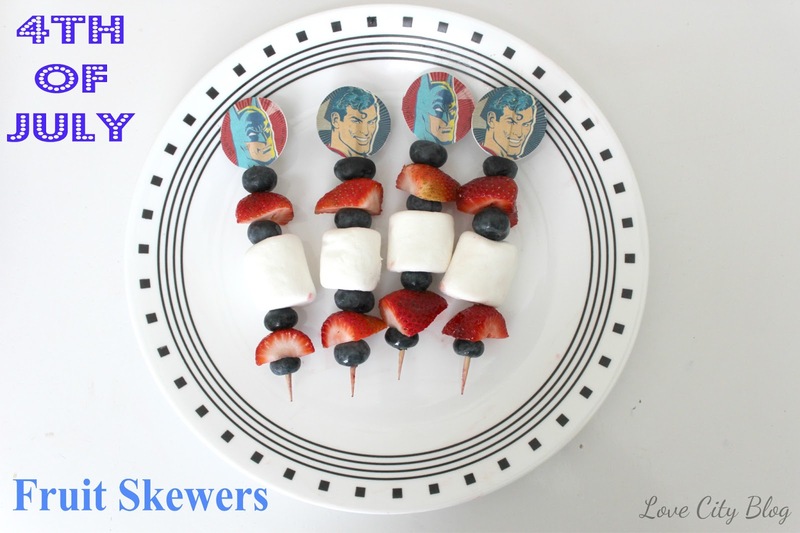 And yes, I used "justice league" skewers. Now, here's to hoping it doesn't rain on our holiday fun!